“As you know we would like to make security and the fight against illegal immigration a priority during our EU presidency,” Kurz said during a joint press conference with Tusk. Austria’s Chancellor Sebastian Kurz, whose country is preparing to take up the upcoming European Union presidency in July, said he will take the same hard line on immigration at the European level as he has at home. 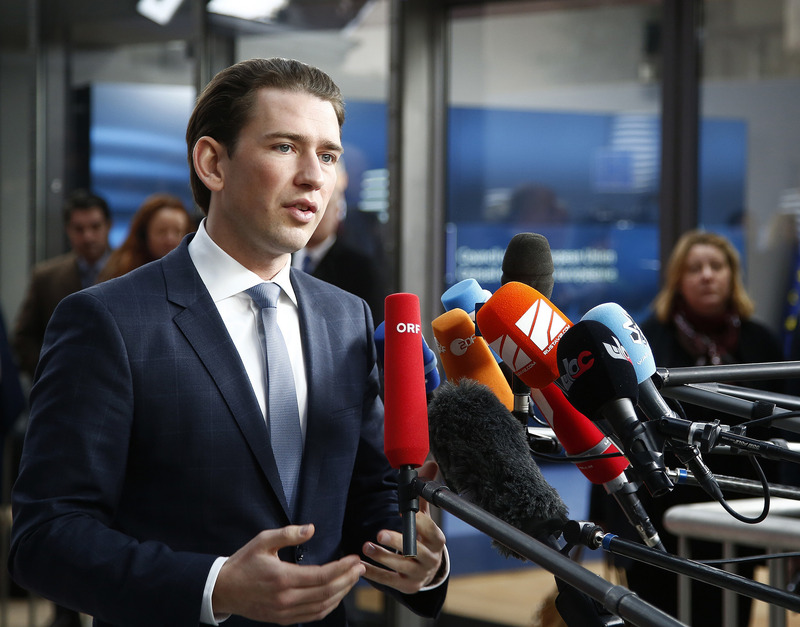 Kurz, who came to power last year running on an anti-immigrant platform, met with European Council President Donald Tusk in Vienna on February 14. In turn, Tusk said he has similar views with Kurz. “Migration will remain a challenge for many years to come, which is why we want to find a solution that make sure that the EU, together with national states, can manage future migration flows efficiently and without creating new divisions in Europe,” he said. As reported by Euronews, Tusk has rebuked the EU’s mandatory quota system for refugees, calling it “ineffective” and warning that it could create an East-West division between EU member states. Though Austria is not part of the so-called Visegrad Four countries that have refused to accept refugees, there is ongoing speculation that Vienna’s new ruling coalition could move the country closer to the group of Hungary, Poland, the Czech Republic and Slovakia than to its western EU allies. In a separate report, the Independent noted that Austria has already unveiled financial “sanctions” for immigrants who keep their own culture and refuse to “integrate” into Austrian culture. It also has plans to speed up deportations and half undocumented migration.